During your next dental appointment, you may be asked about more than your brushing and flossing habits. A recent survey found that 77 percent of dentists now perform substance abuse screenings as part of routine exams. Why Are Dentists Are Worried About the Addiction Epidemic? Dentists may not be considered primary care providers, but dental health plays a key role in your overall physical health. This puts dentists in a unique position to fight substance abuse. Dentists often see patients who have tooth decay due to substance abuse issues. For example, methamphetamines are a leading cause of tooth decay and tooth loss. Alcohol abuse is a primary risk factor for oral cancer. Tobacco use leads to gingivitis and tooth loss. Addressing the risk of substance abuse is also important because dentists are the second leading prescriber of prescription opioids. This puts them at risk of inadvertently starting someone on the path towards addiction or feeding the habit of someone who already has a full blown opioid use disorder. Drug interactions could be another potential concern, since prescription opioids given for pain relief after a dental procedure could have dangerous interactions when combined with alcohol or illegal street drugs. What Do Substance Abuse Screenings Look For? How often do you consume alcoholic beverages in a typical week? Have you used tobacco products such as cigarettes or smokeless tobacco in the past three months? If yes, how much and how often? Have you used marijuana more than five times in your life? If yes, when was the last time you used marijuana? Have you felt you should cut down or otherwise control your drinking or drug use? Do you get angry, upset, or annoyed when people ask you about your alcohol or drug use? Do you feel guilty about your drinking or drug use? Have you ever needed a drink or used drugs immediately in the morning to calm your nerves or get rid of a hangover? 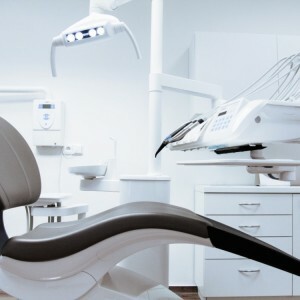 Female dentists are more likely to believe addiction screenings are part of their professional responsible than their male counterparts, with 61 percent of women and 52 percent of men conducting screenings. Age is another factor in how dentists perceive the importance of addiction screening, with 62 percent of dentists over the age of 53 and 47 percent of dentists under the age of 53 conducting screenings. Although the rise of addiction screenings at the dental office should be encouraged, screening people at risk of substance use disorders is only a small part of the battle. A 2013 study in the Journal of the American Dental Association reports that most dentists who screen patients for substance abuse do not provide referrals to counseling or follow up with patients who exhibit warning signs of addiction. Despite their concern for the well-being of their patients, they feel unqualified or not prepared to offer more extensive drug use prevention services. Providing continuing education opportunities and additional training to help dentists refer at-risk patients to the appropriate resources would be a cost-effective way to tackle the public health concerns associated with substance use disorders. Until then, however, it’s up to each individual to look out for the signs of addiction and urge friends, family, neighbors, colleges, and others in need to the appropriate evidence-based treatment programs. Based in Port Matilda, Pennsylvania, St. Joseph Institute for Addiction provides detox and counseling to address the issues contributing to substance use disorders. Our faith-based approach views addiction as physical disease in need of treatment for the mind, body, and spirit. This allows for a solid foundation of sobriety, setting the stage for a future free from the burden of addiction.